Best of the Boat 2011: Best Massage Therapist, 1st place. You can read the Steamboat Living article here. Best of the Boat 2012: Best Massage Therapist, 2nd place. Best of the Boat 2013: Best Massage Therapist, 1st place. Best of the Boat 2014: Best Massage Therapist, 3rd place. 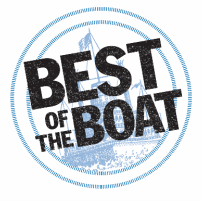 Best of the Boat 2015: Best Massage Therapist, 2nd place. Best of the Boat 2016: Best Massage Therapist, 3rd place. Best of the Boat 2017: Best Massage Therapist, 2nd place. Former places of employ include the Spa at One Steamboat Place and Three Forks Ranch. Clientele ranges from busy executives to professional athletes to active retirees. Has worked full-time as a massage therapist since graduating in 2005. Graduated with top marks from the Colorado School of Healing Arts. Served as a te﻿﻿acher's ﻿﻿assistant for multiple classes. Participated in over a dozen hands-on volunteer events. Interned as an MT in the wellness center at Swedish Medical Center. interning three days a week. No matter how good I look on paper (or screen, in this case), the proof is in the pudding, right? Check out the reviews some of my awesome clients have left over at Yelp and ﻿TripAdvisor﻿. Who wouldn't want a massage from the likes of us?